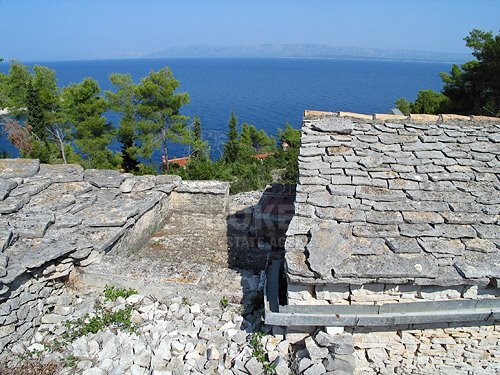 About the property: 50 sqm old stone house with a beautiful sea view on a 3.800sqm land plot. The property is accessible by gravel road. 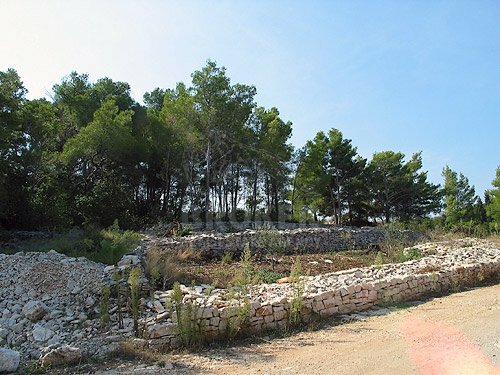 Above the road is about 800sqm of pine forest that is the part of the property. 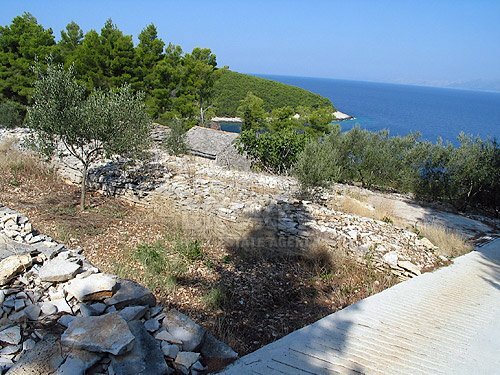 Below the property is another 3.000sqm of land extending 60m downhill. On the road side property is about 40m wide. On the bottom end (toward the sea) width of the land plot is about 60m. 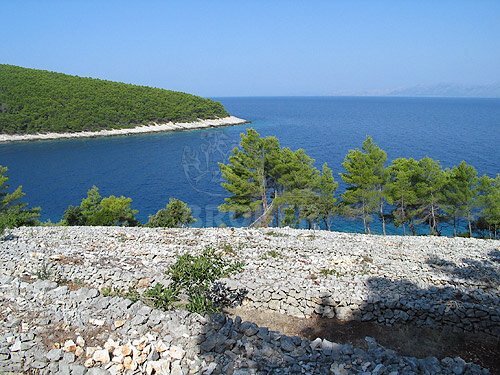 Distance from the sea is about 70m and the sea is accessible by public path which goes by the side of the property. 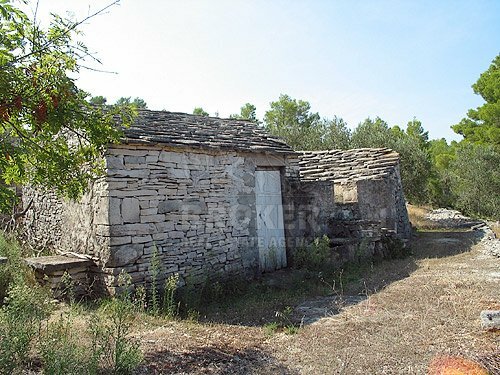 Old stone house on the property is about 50sqm and can be easily renovated into new stone house of up to 100sqm living space. There is no infrastructure present. 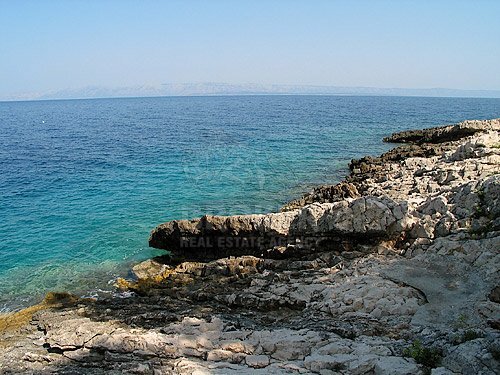 This is a property for adventurous buyer that wants a secluded property which is spared of tourists, traffic and urban noise.